1. Study trends relating to the availability of private sector business financing in an effort to find ways to promote entrepreneurship, job creation and economic development in Texas. The Committee shall make recommendations to facilitate access to private sector business capital. 2. Study any needed changes to create a more efficient, cost effective and reliable 9-1-1 emergency communications system, including the development and implementation of wireless 9-1-1. The Committee shall hold joint hearings with the Committee on Intergovernmental Relations on this charge. Final preparation of the report shall be the responsibility of the Economic Development Committee. 3. Monitor trends affecting the convergence of the banking, securities, and insurance industries, including market forces and federal government activity. The Committee shall make recommendations for statutory or regulatory changes at the state level as necessitated by changes in federal law or industry trends. 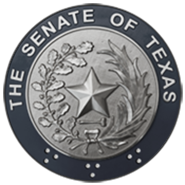 The Committee shall also evaluate pending federal legislation affecting financial institutions, specifically in the area of bankruptcy, analyzing how potential changes affect Texas law. 4. Monitor the implementation of SB 560, 76th Legislature, Regular Session regarding the regulation of telecommunications utilities by the Public Utility Commission and the provision of telecommunications services.